This is a Public Poll on behalf of TECREAT; would you like to see Friendly Fire added as a option for private rooms in future updates? Vote for what you think about this proposal. This is a public poll intended for informational purposes on the behalf of TECREAT. This feature would enable the ability to team kill in private matches ONLY. This proposal will only be fowarded to the developers if the community favors it. I chose neutral, as I still don't see my teammates & opponents name above their vehicle. That makes it almost impossible to regonize if it is a friendly or enemy, esspecially on long range distances, which I can't see on the minimap. I am afraid I will have to disagree with this idea. What exactly would it change? The deathmatch game mode could be selected if the point is to be able to kill everyone in a password protected room. Friendly Fire damage should be turned on all the time, but only when accuracy has been improved. It would make for a more realistic experience instead of just firing off a shot in the general direction of the enemy in the hope that it might hit the target. Got a feeling I could be controversial. That is actually a good idea, like a "last player standing" game mode. I'm sure it has been suggested, before. in "last player mode" you cant respawn , but in realistic mode you will be able to respawn with another tank of the same level. 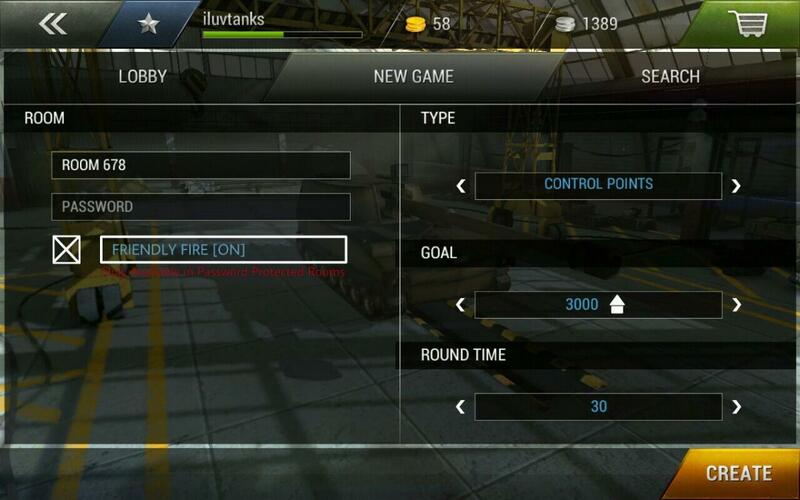 for example you are in a lvl 55-70 room and you are in a lvl 68 amx56. you die , then you cant take ur amx anymore but you can take other tanks , that ranges from lvl 55 to 70 (for that room). level 55-70 room automatic no for logical reasons. And to answer with the OP's suggestion, I'd say yes? I really don't know about this one. It is the same idea; the developers did not see the its point since we already have the deathmatch game mode. Started by basmal121 , 23 May 2017 Meme, update, why you read this?